The NBA season passed its midway point just a few weeks ago. However, as we near the All-Star break, it seems like a good time to revisit the season with some first-half highlights and predictions for the rest of the season and playoffs. The NBA trade deadline. The NBA trade deadline provided major excitement for fans, especially with teams who are looking to take that next step and win a title. The 76ers traded for Tobias Harris, a forward who has started the path toward stardom this year. This is a continued improvement for their roster, in win-now mode, as it adds onto the Jimmy Butler acquisition earlier this season. Other major trades included a rehabbing Kristaps Porzingis going to the Dallas Mavericks to pair with Luka Doncic in the future. The Mavs sent Dennis Smith Jr. and DeAndre Jordan to the New York Knicks in a major roster overhaul. Nikola Mirotic was acquired by the Milwaukee Bucks, and Marc Gasol by the Toronto Raptors. The biggest story of the deadline, however, was the fact that Anthony Davis did not get traded. Despite his public request and Lebron’s courting of the star, he will remain in New Orleans for the rest of this season. The return of Demarcus Cousins. 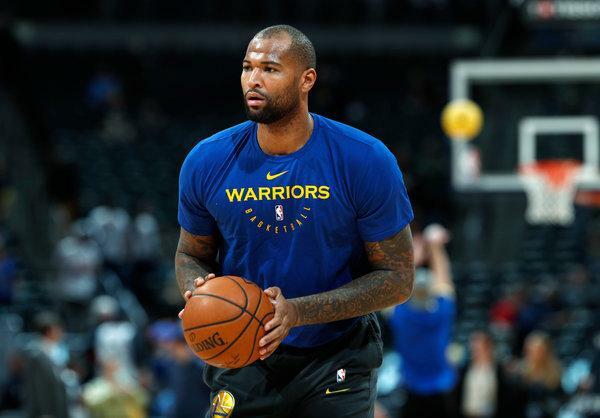 The Warriors didn’t make any trades at the deadline, but their improvement came with Boogie’s healthy return to the lineup. Having a real center who can also shoot threes and pass well makes the Warriors even scarier. Rookies making impacts. Much has been said about Doncic. The number two pick in last year’s draft from FC Barcelona and Slovenia has notched triple-doubles and has been the best player on the Mavs. But Doncic is not the only impact rookie. DeAndre Ayton is averaging a double-double and showing immense promise as a building block for the Phoenix Suns. Trae Young is also leading the Hawks, averaging 16 points and almost nine assists per game. These three are headlining a class whose size is an asset the teams hope to build around. The Eastern Conference semifinals and finals are going to be some of the best rounds we will see in the playoffs. With three of the top four teams in the East making improvements at the trade deadline, we are in for a major battle. Who knows what order the teams will end up in at the end of the season, but it will be likely that they meet in the semi-finals of the East. I think that the 76ers and the Bucks will emerge out of the semi-final round. The 76ers new starting five are scary, and I believe that the Bucks and Giannis Antetokounmpo can find a way to get past the Raptors or Celtics. That seems like a cruel fate for the Raptors and Kawhi Leonard, but Antetokounmpo is too strong. In the Eastern Conference Finals, I see the 76ers putting all the pieces together and making an appearance in the NBA finals. The tanking of the bottom three teams will be more apparent. The Phoenix Suns, Cleveland Cavaliers, and New York Knicks all hope that the ball will bounce their way on lottery night, but their fates will be tied in the Duke phenom, Zion Williamson. Williamson can help whichever team lands him get out of the funk and bump back into relevancy. In the NBA, where one player can impact a team in ways they cannot in other sports, the teams will want that chance to take a potentially generational player like Williamson. The Warriors make it three in a row, four out of five, and plant themselves as one of the best NBA dynasties of all time. Despite the crowding of teams in the Western Conference and higher level of play compared to the East, none can truly match the Warriors at their peak. The Warriors will face a few bumps, but ultimately slide into the Finals without too much of a scare. The 76ers will be worn out from a heavily contested last two rounds on the Eastern side of the bracket and won’t quite have enough to win the title this year. There, I think the Dubs will beat the 76ers in six games before the team breaks up in the off-season, unable to sign all their top-level players to the deals they want.